While the bare minimum to travel might be a credit card and a smartphone, it is best to have some cash on hand. Cash is king in many places, and many businesses only accept cash. Additionally, it’s just sometimes more efficient to have money on hand. You know, the times you want to give someone $5 for a ride or just buy a little trinket for a few bucks. Traveling in the United States with cash is easy. It’s a large country and the dollar is accepted everywhere. Once you leave the US, it can be a little trickier. 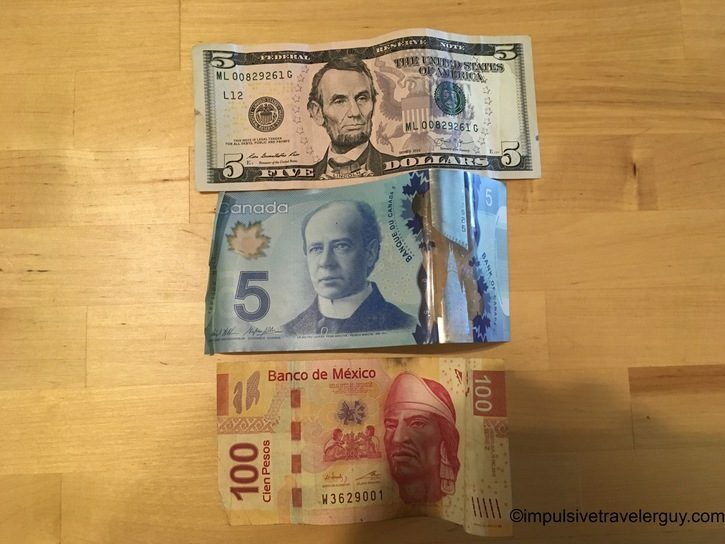 In my experience in Canada and Mexico, most places will take US dollars. Using them is stupid, however. These businesses will typically only do a one-for-one conversion. 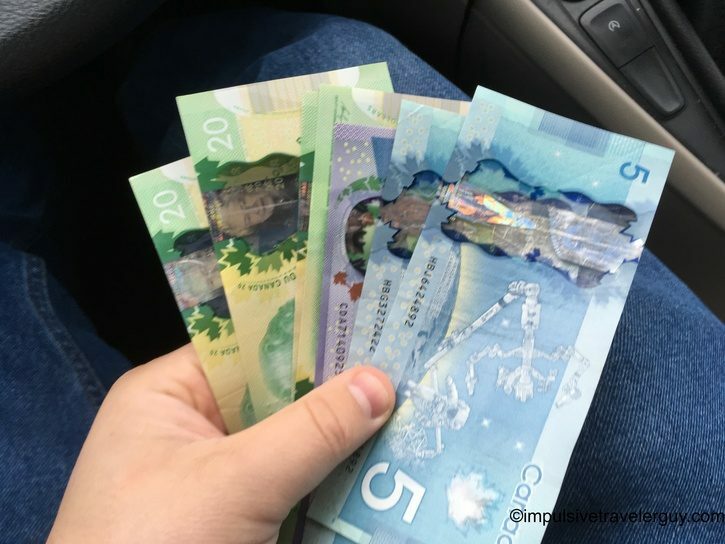 Often in Canada, the exchange rate is $0.75-0.80 US to Canadian. That means you’re losing 20-25% in that given transaction. That’s pretty steep! What is also steep is money changers. Their service fees can amount to 10%+! Sometimes they can be much higher. In many ways, this makes using cash much more expensive. The biggest problem is if you want to be able to explore everything you need cash! One thing I always do is get cash from ATMs. 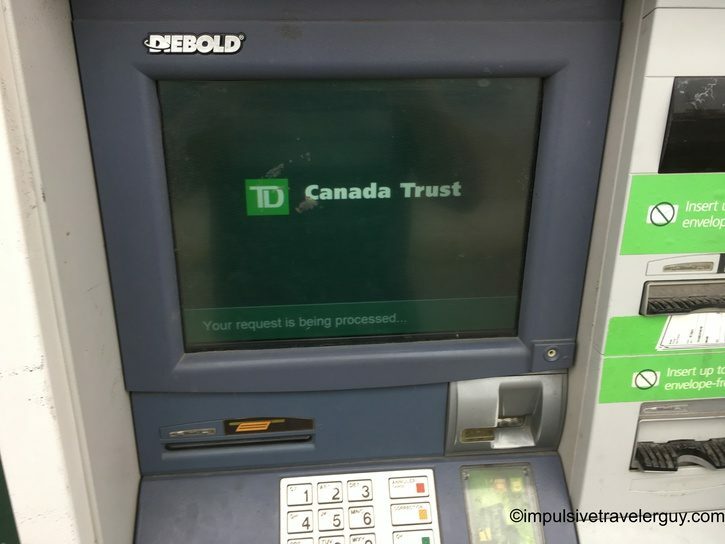 I make sure to put a travel alert on my debit card and then use a local ATM. For my particular bank, I get charged a 1% foreign transaction fee. Most other banks only charge 1-3%. I don’t factor in the normal ATM fees because I’d be paying them if I were in the US. I’ve used ATMs in both Canada and Mexico. It’s an easy way to get physical money for the cheapest rate possible. 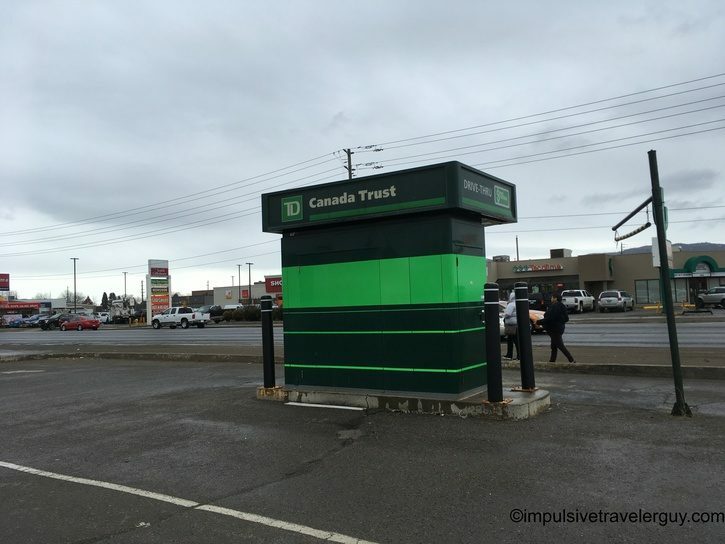 In Canada, there’s an extensive ATM network, so getting cash is easy. The process is as simple as using an ATM in the US. If you’re in Mexico and don’t know Spanish (like me), you can still muddle your way through it and get money. 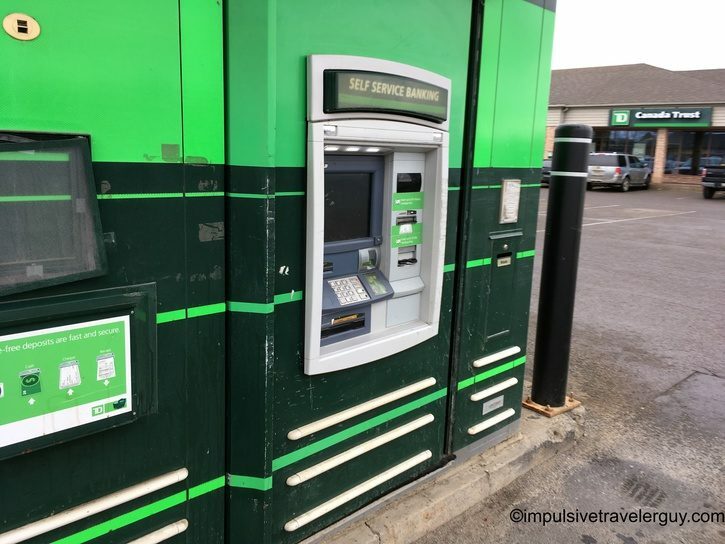 Using an ATM will save a ton of money in fees. That money saved can be used for something more productive like actually traveling.